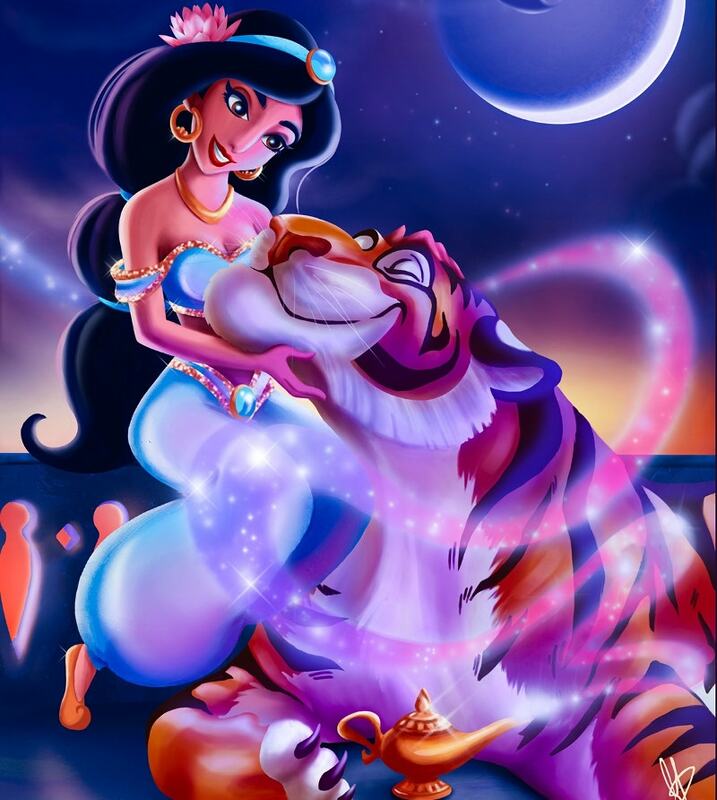 Disney characters are known for their timeless magic. 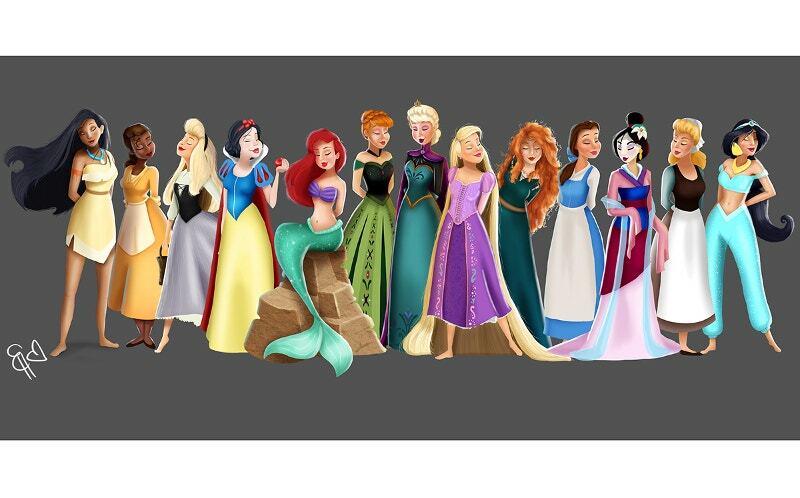 Be it Mickey Mouse and Donald Duck or other mythological characters whose hair was made out of the fire, the animated classics woo kids and adults alike even after decades. 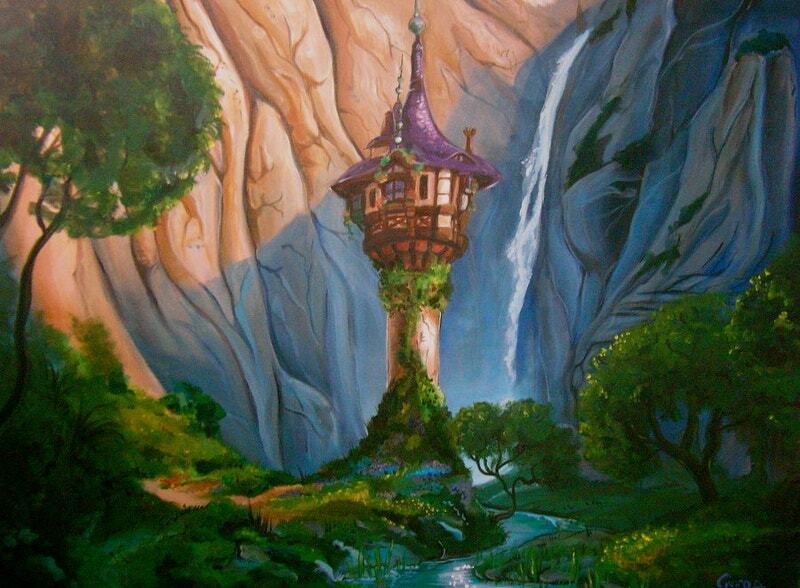 Below are some Disney paintings with a mix of heroics such as Hercules and Percy Jackson. They unbox the magical world that will make you gasp. 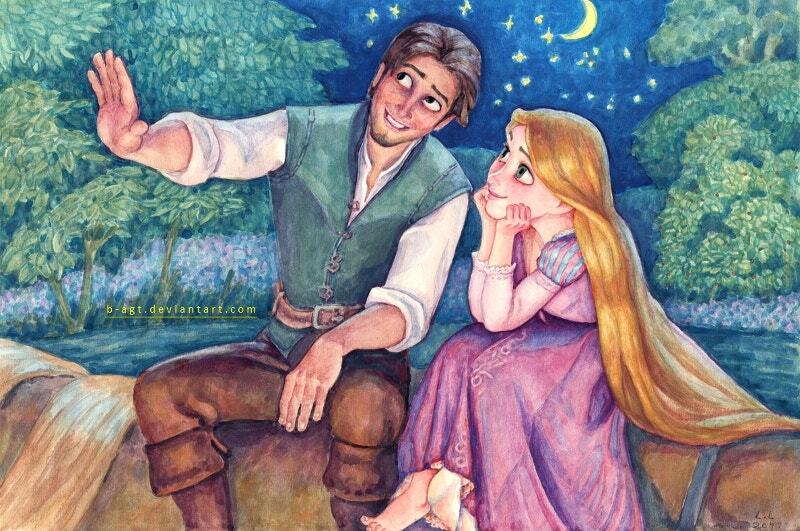 Of course, you could only see such characters in fairy tales. The curtain raises with an illustration from “Percy Jackson and the Lightning Thief”. 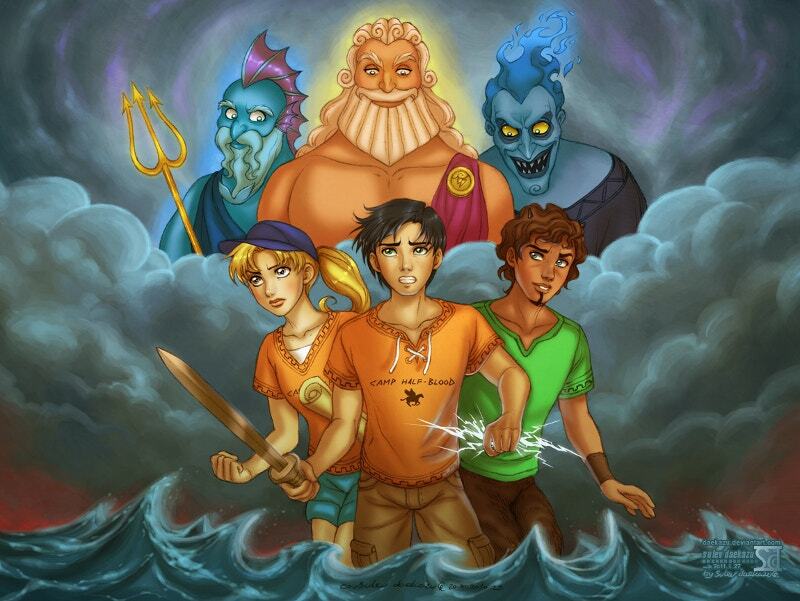 The picture also features a Poseidon, Zeus, Hades+Annabeth chase, and Grover underwood. The artist boasts that he used pencil and Adobe Photoshop (Cloud Storage) for creating this. 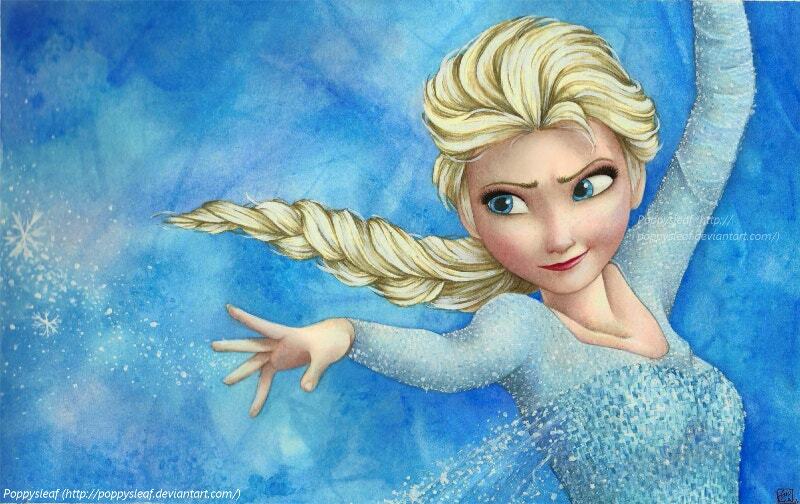 Another “dancian” painting of Elsa from Frozen. 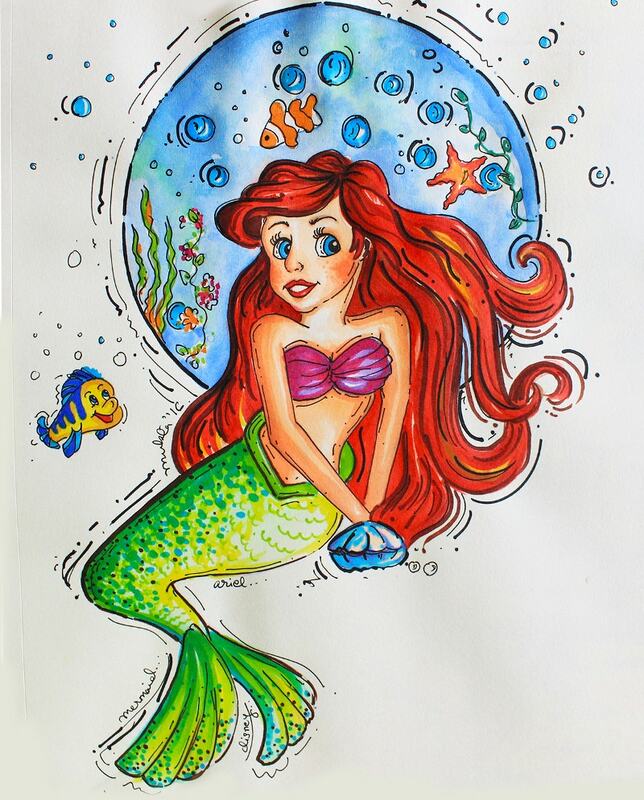 The artist accepted a challenge from her friend and completed it using watercolors, acrylic paints, and white gel pen. Look at the efforts that went into the detailing of the hair and the dress. 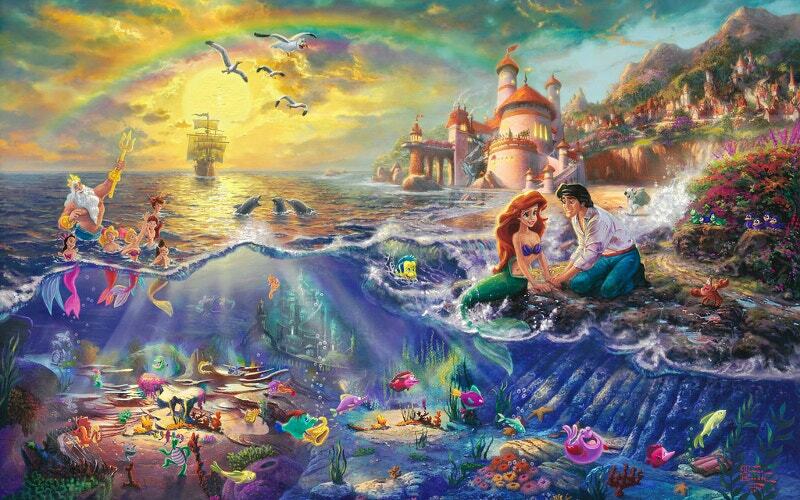 A ‘Disney-ish’ painting of a little mermaid on the bank of a river with her beau. 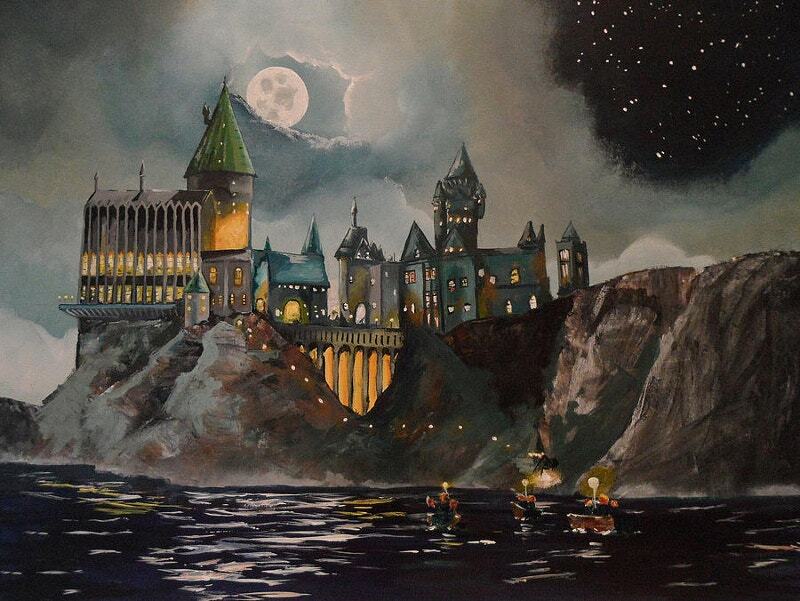 The background is breathtaking and the detailing is amazing. 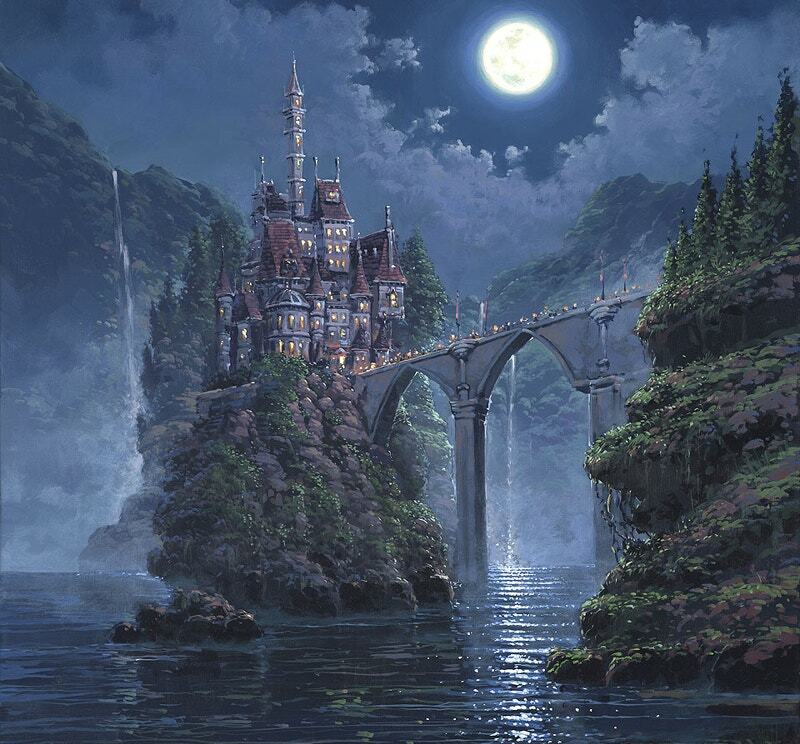 Another Digital Art Painting wonder and really a good imagination. 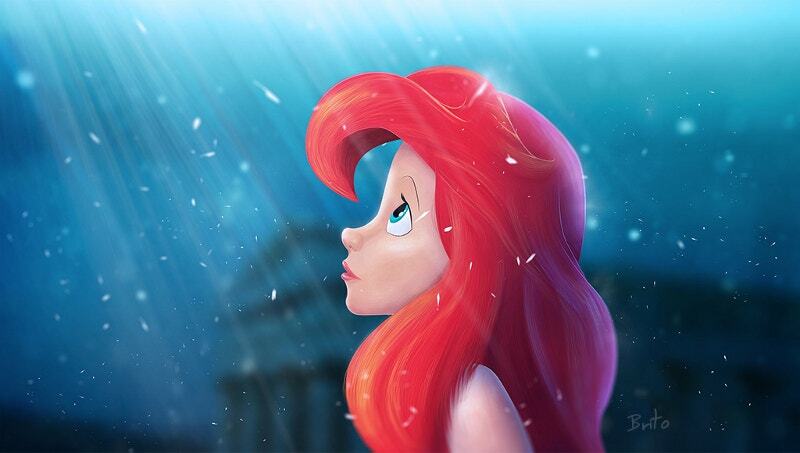 Everything about it is eye-popping with great Disney elements. They exactly look like the bookish descriptions- so livelier. The artist has to spare compliments. 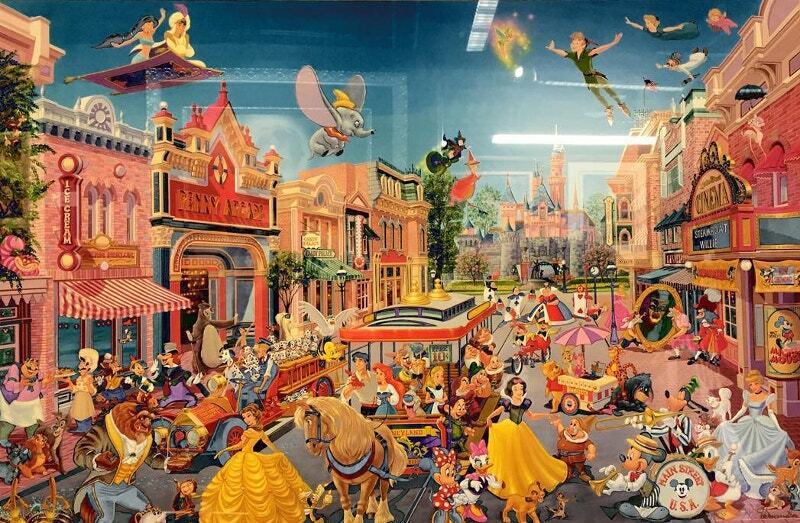 One more from Disney treasures planet. So adorable! Just like in the movie. Bold, rich, and Watercolor washes. Will we ever be as good as this even if we constantly practice it for the next five years? 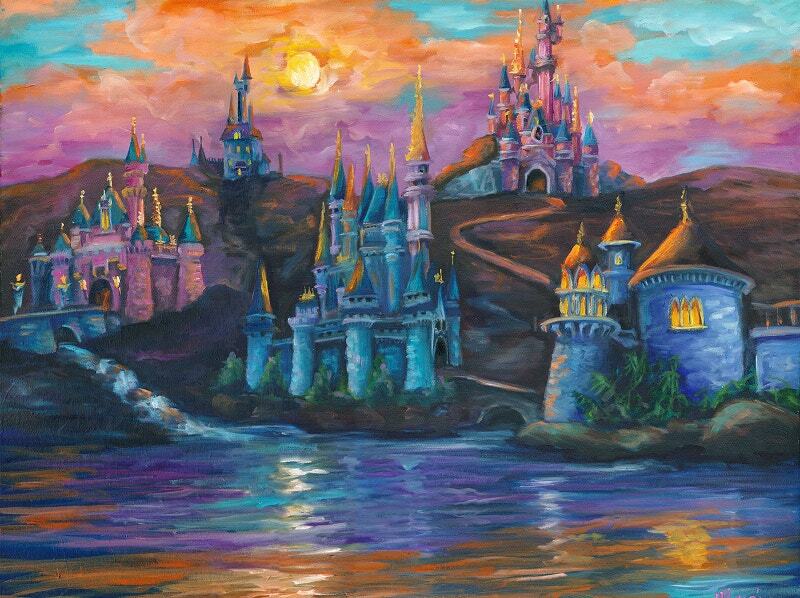 This is a Disney Painting from a significant artist. 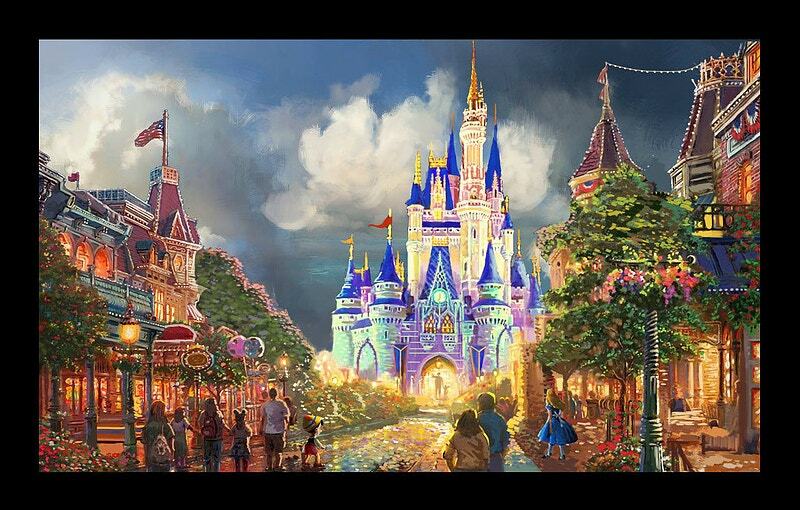 In fact, it seems the whole Disney has been turned into a painting. Here he painted a live stream with vivid colors. Get a print or reprint of this right now! It’s true calling of Disney. 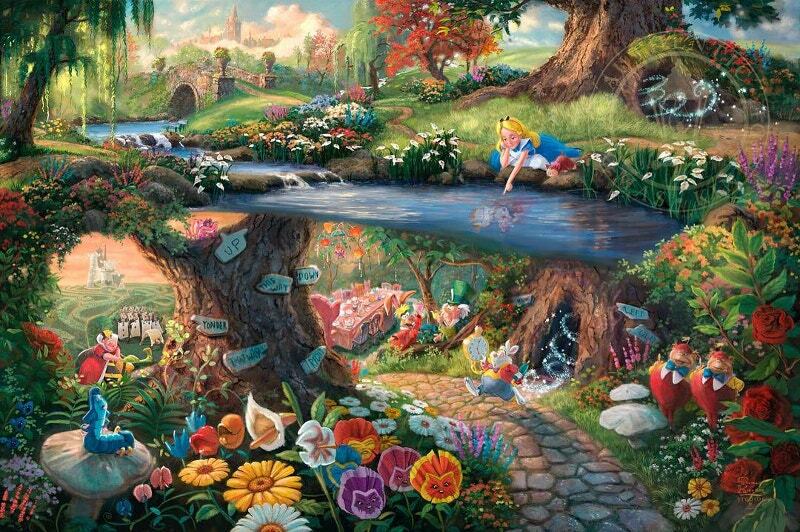 Alive (we know it’s Alice) in the wonderland. 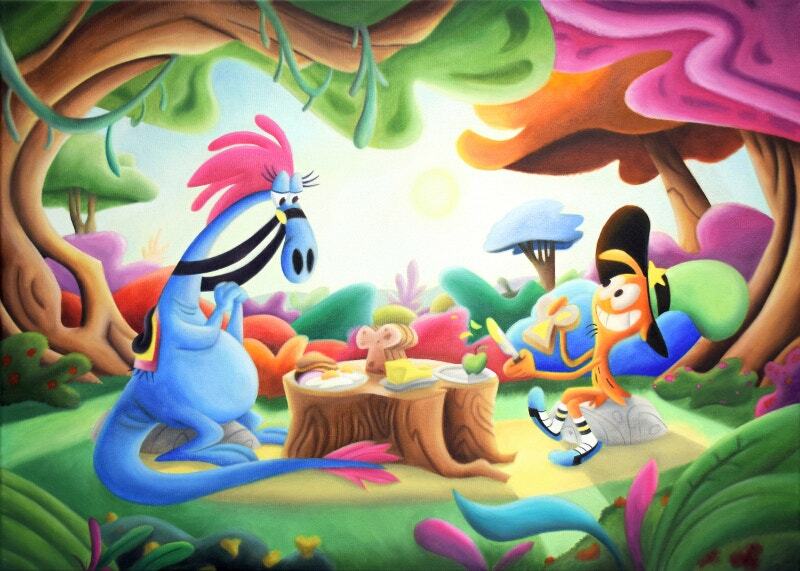 This Acrylic Painting could be your destination for the day. 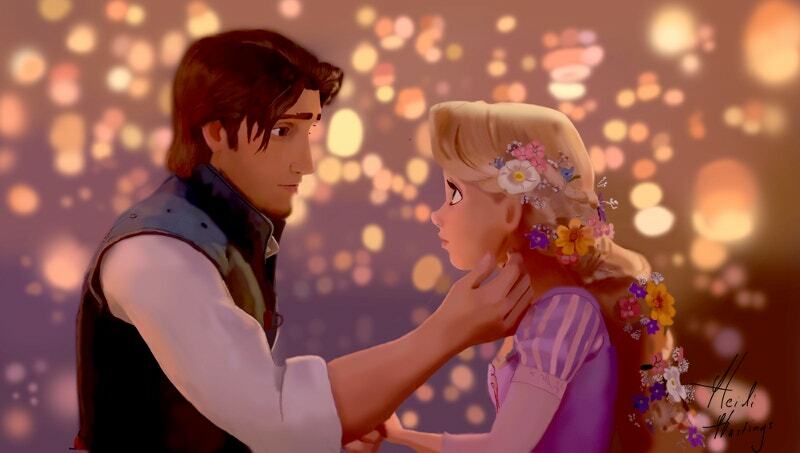 A scene from Tangled. After watching the movie in 3D, the artist decided to upload this Abstract Oil Painting that she had finished last year. She has presented this as a gift to her fans this easter. 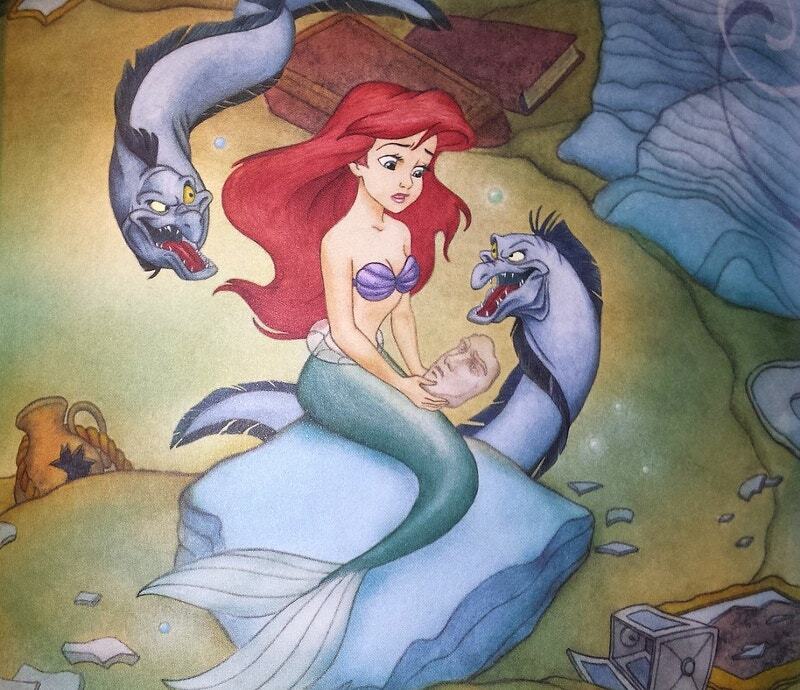 You love this brave painting of Disney princess & dragons. You need a license from them to make them. But inspiration is free. 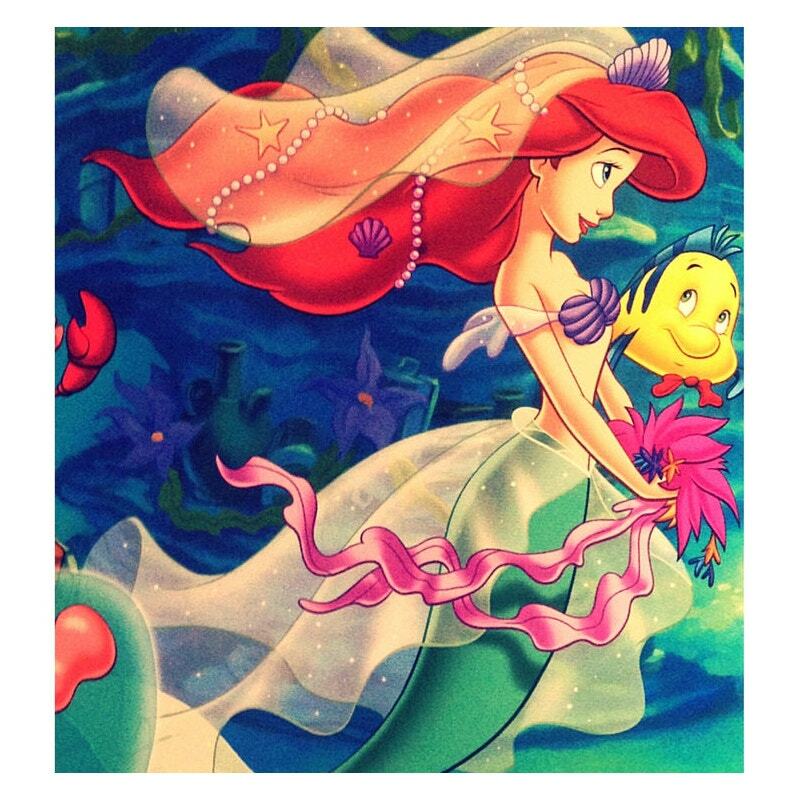 Because Disney is a beautiful and happy world for all. 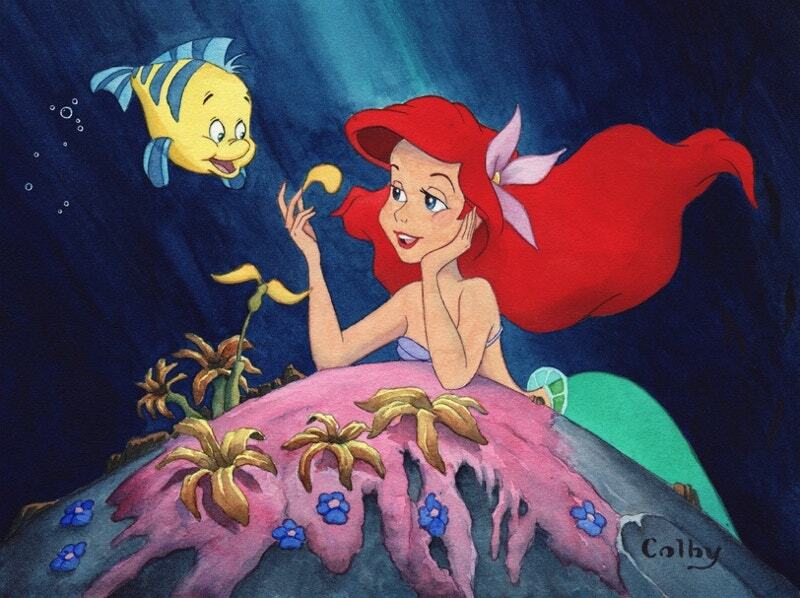 A beautiful Disney mermaid with a fish in water. This fish-girl with a veil makes you chuckle. Looks like she has got some genetics from angels. Both the art and the way it has been colored are excellent. 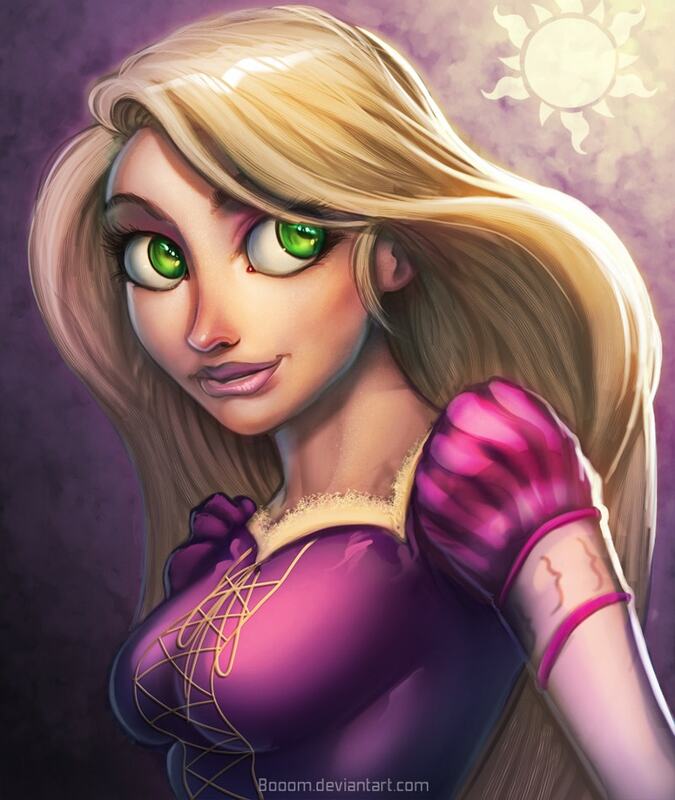 How are the crossovers of Disney heroes and heroines? 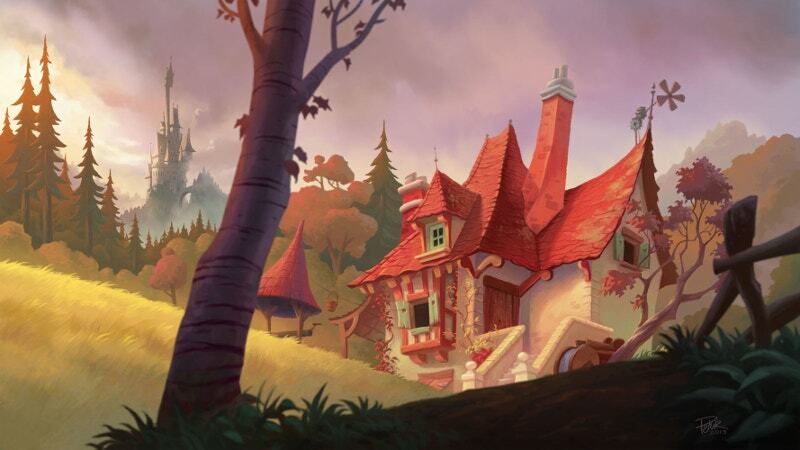 With these Disney paintings, we hope we have made your whole month. We know that they are both bountiful and beautiful. Many of them are even more real than movies. 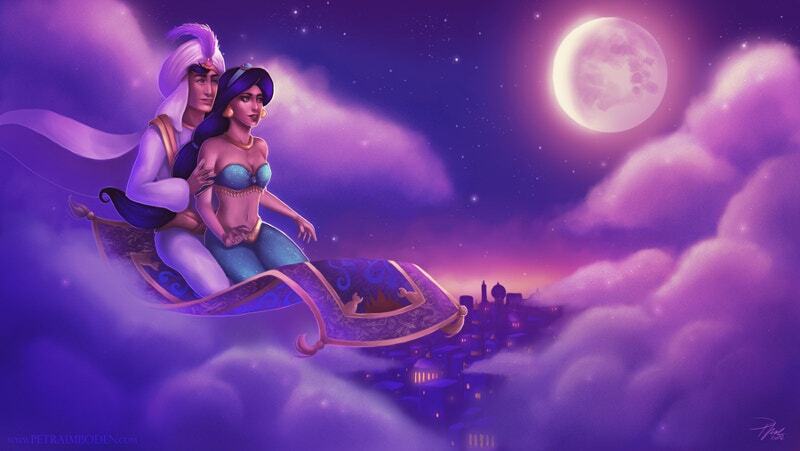 After all, who doesn’t want to go into such a fantasy world?